Bora Bora’s impossibly blue lagoon is set to become a regular highlight for Tahiti’s freighter cruise line Aranui, which has added the famed Society Islands to its 2015 program. For the first time, every 14-day Aranui roundtrip cruise from Papeete will call at Bora Bora as well as French Polynesia’s mysterious Marquesas Islands and the pristine Tuamotu atolls. The announcement follows the cruise line’s first scheduled call to Bora Bora on Good Friday this month, with this year’s program also including one more visit to the island in December. Aranui’s Regional Representative Australia New Zealand Laurent Wong said there had been such an overwhelming response to this year’s Bora Bora visits that it made sense to add the island to all of the cruise line’s 17 departures in 2015. “The new program will take guests to three very different yet equally stunning French Polynesian archipelagoes – the Marquesas, Tuamotus and Society Islands – and show off some of the most naturally beautiful and untouched islands in the world,” Mr Wong said. Next year also marks the last chance for Australians to cruise on the popular Aranui 3 which is due to retire after 12 years cruising the region. The 256-passenger Aranui 5 is scheduled to commence service in late 2015. A highlight of the 2015 program is the chance to experience the four-yearly Marquesas Art and Culture Festival with a special 15-day itinerary in December including a visit to Hiva Oa during the event. To include the new Bora Bora calls, the 2015 itineraries have been slightly modified but still feature the same Marquesas ports with guests able to walk in the footsteps of Robert Louis Stevenson, Herman Melville, Jacques Brel and Paul Gauguin on Nuka Hiva, Ua Pou, Ua Haku, Tahuata, Fatu Hiva and Hiva Oa. The Aranui will still call at Rangiroa in the Tuamotus but Takapoto has replaced Fakarava. Aranui 3 accommodates around 200 passengers in air-conditioned cabins including suites with private balconies and deluxe and standard twin rooms. The freighter line dispenses a lifeline of food, fuel and other staples to remote island ports while passengers disembark and explore lush Garden of Eden landscapes on a range of complimentary excursions including hikes and 4WD tours. The new Bora Bora visits will include a picnic lunch on a secluded beach with optional activities such as a lagoon excursion, manta ray experience and a helicopter ride. Throughout the journey, guests enjoy the comforts of a cruise ship from a spacious sundeck to a freshwater swimming pool, a gym and a library. *Subject to availability, conditions apply. Prices are in $AUD, per person twin-share. Single occupancy attracts a 50 per cent surcharge. One of the world’s great rivers is often overlooked. Rapids and waterfalls – accidents of geography – render the mighty Mekong largely useless as an artery of trade and commerce, thwarting the heroic efforts of French colonists and empire-builders in the late 19th century. The Mekong delineates the border between Thailand and Laos for much of its length before crossing Cambodia, then fans out across southern Vietnam before flowing into the South China Sea. Alongside its banks this great artery sustains perhaps 60 million people, drawn from more than one hundred ethnic groups, including most Lao. 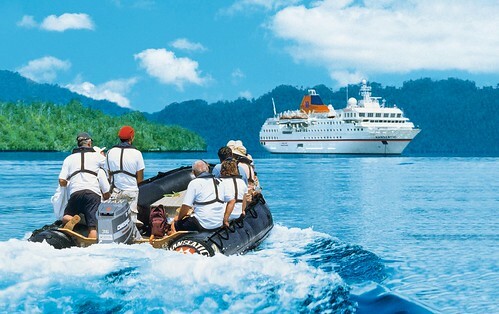 A holiday cruising the picturesque waters of Fiji and experiencing true Fijian culture is now easier than ever to plan with the release of Captain Cook Cruises Fiji’s new “Fiji Islands Small Ship Cruising” 2014/2015 brochure. The 12 page brochure includes accommodated cruises around the Yasawa Islands, Fiji’s remote north and Lau islands, wedding and romance packages, functions and events, day cruises and Tivua Island stays. “With six accommodated cruises, a variety of function and event packages, four wedding and romance packages, day cruises and a private Island stay to choose from, there really is something for everyone,” says Jackie Charlton, Managing Director, Captain Cook Cruises Fiji. “Our three, four, seven and eleven night cruises are designed to offer passengers authentic and personal experiences. Our Small ship MV Reef Endeavour takes guests to remote islands and villages where larger ships cannot get to and mainland resorts cannot access, for a true authentic Fijian experience,” continues Ms Charlton. For those staying on the mainland Captain Cook Cruises Fiji provides a taste of what their cruises offer with the Tivua Island Day Cruise. 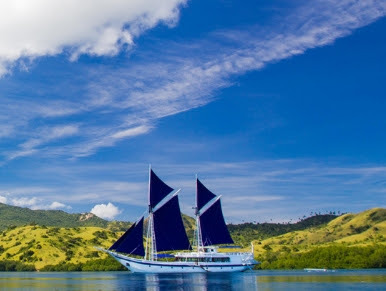 “Our day cruise gives passengers the chance to sail on Fijian waters aboard tall ship Ra Marama or sailing catamaran Fiji One and enjoy their own private Island for the day. They can swim, snorkel, kayak, get a massage or just laze on the beach,” said Ms Charlton. New for 2014 is the 11-night Lau Islands Discovery cruise taking passengers on a voyage of discovery to a part of Fiji rarely seen by tourists – the Lau Islands and Kadavu. Discover some of the South Pacific’s most beautiful islands as you set sail from Cairns to Auckland on this 18-day luxury cruise on board Silversea’s Silver Discoverer. With 14 ports of call, guests will have the opportunity to relax on white sandy beaches, witness an array of incredible wildlife and encounter each island’s distinct traditions of craft, song and dance. 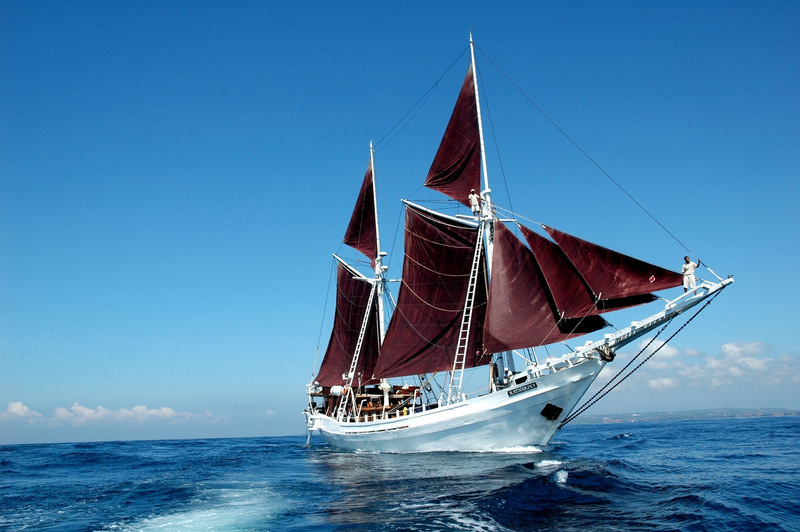 Departing Cairns on 3 November, 2014, Silver Discoverer will visit islands in Papua New Guinea and the Solomon Islands, before sailing to the archipelago of Vanuatu. While in Vanuatu, guests can explore the rich island heritage of Luganville, bathe in the freshwater springs at Champagne Beach and experience the unique black shores of Ambrym. Sailing into New Caledonia, ports of call will include Lifou and Île des Pins, before Silver Discoverer voyages to Norfolk Island, a birdwatchers paradise. Heading south, Silver Discoverer will then navigate the Bay of Islands, a maritime adventure playground commonly regarded as New Zealand’s “birthplace”, before reaching Auckland, with guests disembarking on 21 November, 2014. 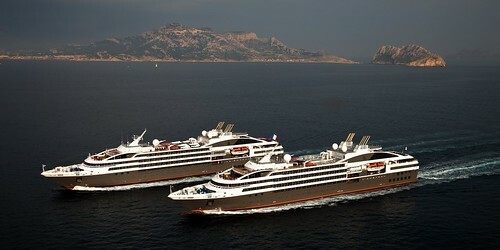 Prices are per person starting from AU$14,250 per person in an Explorer Suite double occupancy. Silversea’s fares include all shore excursions hosted by an expert expedition team; all-suite accommodation with butler service; gourmet meals with dishes inspired by Relais & Châteaux; complimentary wines, Champagne and spirits served throughout the ships; and all gratuities. For the first time in 25 years, COMPAGNIE DU PONANT’s cruises are available to take bookings more than a year in advance. The new itineraries for Summer 2015 will be on sale from 15 April 2014: 70 cruises are programmed from April to October 2015 in the Great Arctic North, Northern Europe and the Baltic, East and West Mediterranean and Japan. Moored as close to protected sites as it is possible to be while enjoying five-star comfort and service, passengers travel in the company of enthusiastic experts, historians and lecturers as their guides. Much more than a cruise, an authentic travel experience awaits them, be it a Five Star Expedition in the Arctic or Alaska, a coastal cruise along Mediterranean shores or a themed cruise. The Open Bar will be included on all itineraries. From embarkation throughout the cruise, unlimited complimentary drinks will be available, including a wide selection of fine wines, champagnes, spirits, mineral water and soft drinks. There are also exclusive new advantages for Ponant Yacht Club members: free excursions, internet package, discounts, upgrades, and more. A 50% discount will apply to Wi-Fi connection rates. Alaska, which completes the Arctic offer from Compagnie du Ponant already present in the Russian Arctic, Spitzbergen, the Norwegian fjords, Iceland, Greenland and the Great Canadian North. Japan, which in addition to the autumn sailings is also on the programme during hanami, the cherry blossom season. 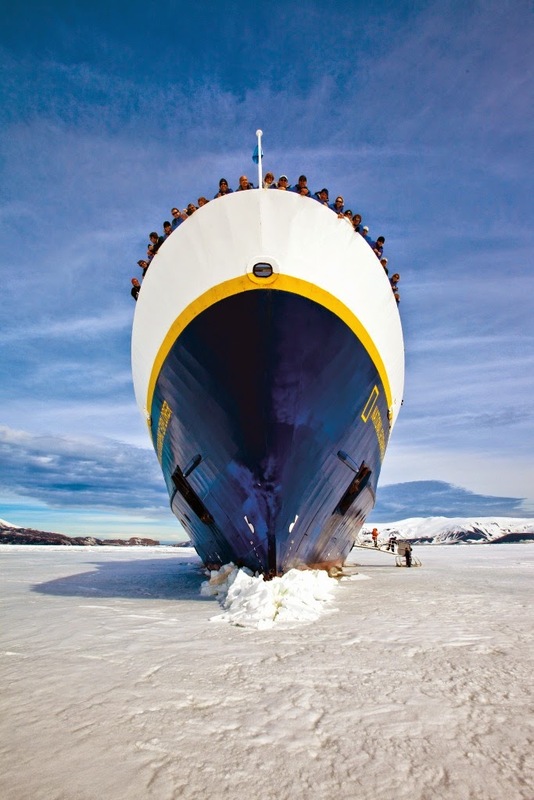 Hurtigruten has launched its main 2015/2016 brochure with some extremely competitive prices to drive early bookings. 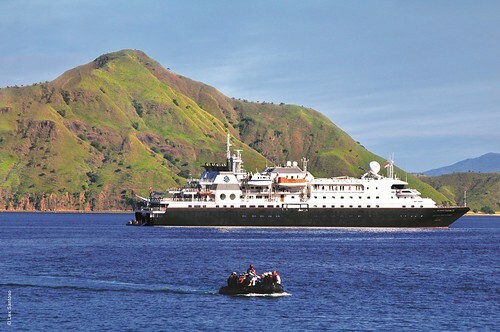 The company has reduced many of its voyage-only fares and has included Explorer and Coastal voyages in one main brochure for the first time in several years. Kathryn Beadle, Managing Director commented "We want to drive early bookings and ensure our customers receive great value for money. Wherever possible we have reduced our prices and if you make comparisons with our main 2014 brochure, some are up to 30% less. Our product is unique, so it is difficult to make comparisons with traditional cruise lines, but the new pricing structure reflects our determination to offer value for money in a competitive market". For example, for a six day Voyage South from Kirkenes to Bergen the voyage lead-in price is £763 per person/twin share on full board basis, departing in April 2015. The price for the same voyage in the 2014 edition brochure was £988 per person/twin share. The brochure combines both the Explorer and Coastal products for the first time since 2010. Kathryn Beadle continues "We believe that having a combined brochure will be beneficial to agents and will make cross selling between the products much easier. Combine that with our current price reductions and we are expecting 2015 sales to get off to a strong start". The programme is now on sale. To request a copy, contact Discover the World on 1800 623 267 or email hurtigruten@discovertheworld.com.au. Be toasty: The Antarctic landscape holds fascinating fun. Ten things y-you should kn-n-now b-b-efore t-t-taking a c-c-cold-c-c-climate c-c-cruise, writes Lynne Whiley. I've danced across ice and snow, stones and bits of bone in the Antarctic, singing One Republic's Counting Stars out loud. It's a big continent and I didn't care if anyone saw or heard me as I was keeping my toes warm. Travel trends come and go but one of them remains forever true – many travelers dream about experiencing places they can often only read about in a book or magazine. Hurtigruten is making it easier this summer for one of those dreams to become reality with a Greenland savings offer of up to 35% off its regular fares – equal to as much as $4,205 per person. 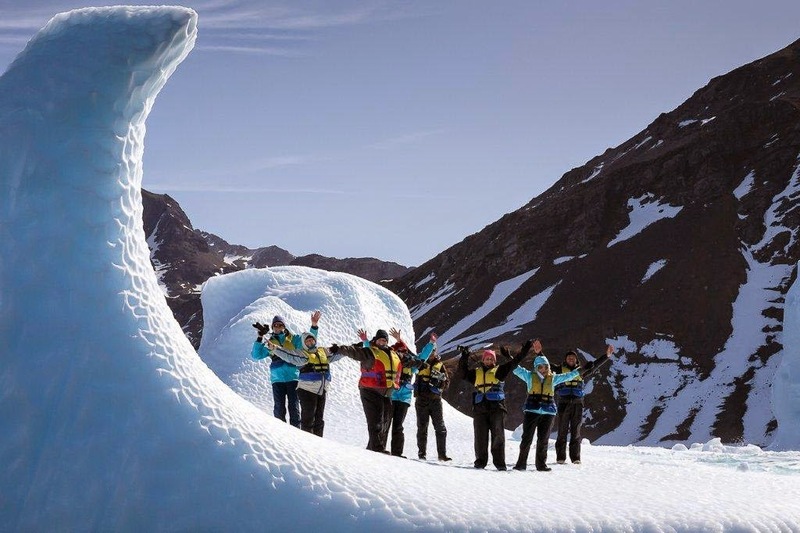 And for the two "Glaciers and Ice" departures in June and July guests can take an additional 10% off – saving up to 43% and resulting in an unheard of fare of $5,925 per person, double for the 13-day adventure. There has never been a better time for travelers to see for themselves why Greenland has been one of the focal points of the climate change debate for years as well as be awed by the stunning beauty, the 5,000-year-old culture and the uniqueness of this ice-capped island. All while comfortably ensconced on the company's 318-guest, deluxe expedition ship MS Fram. The offer is good for new bookings on any of the three summer 2014 itineraries with the only deadline being space available. Discounted fares range from $5,925 to $8,578 per person, double. Flights are available from the US, starting as low as $1,200. "Glaciers & Ice" is a 13-day journey that visits historical places from the Viking era as it makes its way around southern and eastern Greenland as well as spending two days exploring the Iceland's Reykjavik, and Grundarfjörður, one of Iceland's most diverse and scenic fjords, and an overnight stay in Copenhagen. A two-night pre-voyage option in Reykjavik includes breakfasts, a full-day Golden Circle Tour, and a visit to the well-known Blue Lagoon geothermal spa, and is priced at $563 per person. The 11- and 14-day "Arctic Wilderness Adventure" focuses on Disko Bay, first discovered by the Viking Eric the Red in 985, and the rarely visited settlement of Upernavik, where giant icebergs, fjords, wildlife and spectacular landscapes are sure to impress. 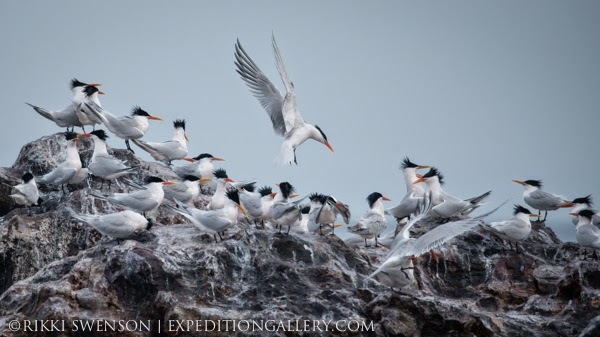 "National Park Expedition" is a true rare adventure as its 15- or 16-day route spends seven days exploring Northeast Greenland National Park, the world's largest park and only visited by about 500 people per year – as well as spending time exploring Iceland and Spitsbergen. Excursions are led by degreed experts, who also offer lectures onboard about various aspects of life in Greenland – culture, climate change effects, industry, etc. Highlights include spending a night sleeping on the ship's deck, watching icebergs in the night's soft light and enjoying hot chocolate; fishing with the officers and crew during the day and enjoying the catch at dinner; kayaking the arctic waters; visiting cultural-historical museums and local handicraft workshops; and sharing a "kaffemik" in the home of a local Itilleq resident. Hurtigruten is a world leader in exploration travel, sailing to the most remote of destinations as well as year-round along Norway's coast. The company's fleet of intimate ships, which each carry 100 to 646 guests, allows travelers to enjoy the scenery and culture of the destination in a relaxed atmosphere. Additional information, itineraries, brochures and reservations can be obtained from Hurtigruten's visitor-friendly website, www.hurtigruten.us; by phone at 800-323-7436; or fax at 888-524-2145. For sales support, group rates and agency incentives, contact Hurtigruten Sales Support at 877-849-3424. 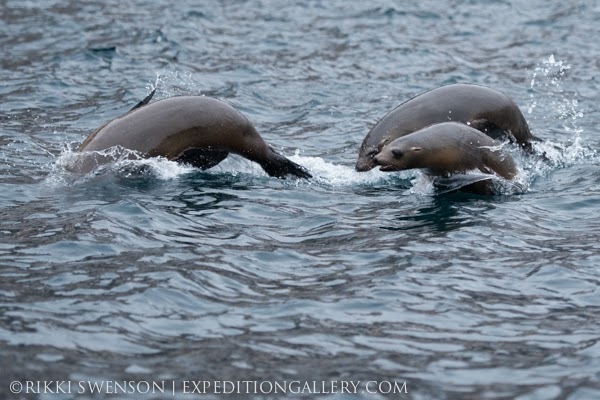 Un-Cruise Adventures released its full 2015 schedule of small ship adventure cruises with 15 itineraries in Alaska's Inside Passage, Mexico's Sea of Cortés, Hawaiian Islands, Columbia & Snake Rivers, coastal Washington and British Columbia. New in 2015, the line has increased its cruises visiting Glacier Bay in Alaska and the number of cruises offered on the Columbia and Snake Rivers. Travelers choose between three expedition vessels, three yachts and one replica coastal steamer carrying 22-88 guests on voyages focusing on adventure activities in scenic, often remote, destinations or river cruising entwined with living history. The 88-guest S.S. Legacy, a replica coastal steamer similar to those that have a long history of plying the river, will sail 32 departures on the Columbia, Snake and Willamette Rivers with cruises departing from April through November 2015. Weeklong river cruises sail roundtrip Portland, Oregon with a focus on living history—Lewis and Clark's Expedition, Oregon Trail, Native Americans, early pioneers and entrepreneurs. A Heritage team on board brings history to life through lively presentations. Highlights include a jet boat tour into Hells Canyon, Multnomah Falls, Bonneville Dam, private tasting at a Washington winery, Fort Walla Walla, Maryhill Museum, Columbia Gorge Discovery Center, Columbia River Maritime Museum, Fort Clatsop and transit of eight locks. A series of four wine themed cruises are scheduled for late summer 2015. Inclusive cruises offer a comprehensive historical perspective on board and ashore with guided tours in each port combined with innovative meals; premium wine, beer and spirits; all taxes and fees; transfers; hot tub, sauna, yoga on deck, exercise equipment and massage for wellness. Rates begin at US$3,195 per person, double occupancy. Glacier Bay National Park stars on many Alaska adventures in 2015 with 87 out of 115 Alaska cruises visiting the park for two days of in-depth exploration including hiking and kayaking inside the park. Three yachts—Safari Quest, Safari Explorer and Safari Endeavour—and three expedition vessels—Wilderness Adventurer, Wilderness Discoverer and Wilderness Explorer—sail four itineraries from homeports of Ketchikan, Juneau and Sitka, Alaska. 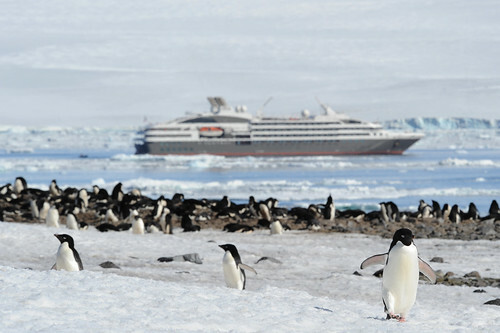 Weeklong cruises visit few if any ports with more time outside in remote wilderness to see nature and wildlife up close. Itineraries are easily combined to create two or three week adventures. In spring and fall, each vessel sails a 12-night itinerary between Seattle and Juneau (and reverse). Rates begin at US$1,895 per person, double occupancy. 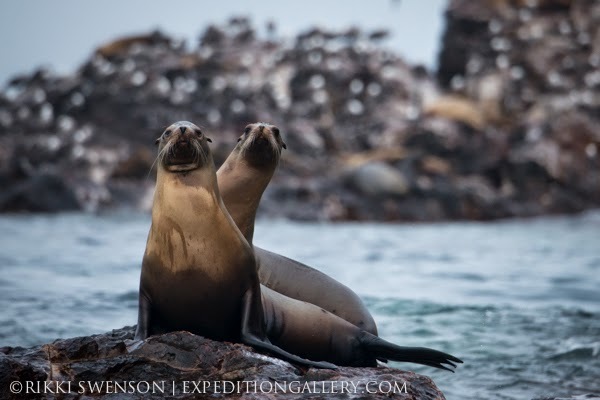 The 84-guest Safari Endeavour sails 21 weeklong cruises roundtrip from San José del Cabo, Baja, Mexico from January-April and November-December. Two itineraries offer travelers land and sea explorations in the remote and marine-life rich sea, a UNESCO World Heritage Site. Desert hiking, a convivial nighttime bonfire ashore, a mule ride into the arroyo, whale watching, kayaking, paddle boarding, skiff excursions and snorkeling with sea lions are included on both itineraries. 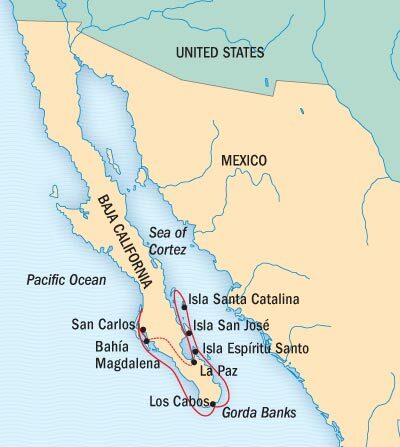 Other highlights may include a trip to Magdalena Bay to see gray whales and calves up close, port calls in Loreto and La Paz and encounters with gentle whale sharks. 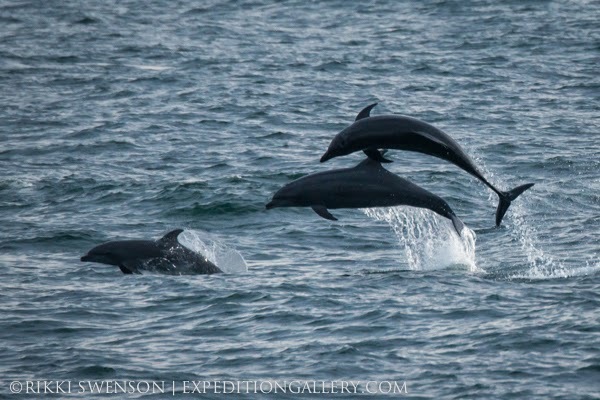 Dolphins, blue-footed boobies, flying mobulas and other creatures make frequent appearances. The inclusive Mexico cruise includes all activities; exquisite meals; fine wine, premium spirits and microbrews; hot tub, sauna, exercise equipment, yoga on deck and a massage for wellness; transfers; and all port charges, taxes and fees. Rates begin at US$2,995 per person, double occupancy. The 36-guest Safari Explorer yacht offers 20 island adventure cruises between Moloka'i and Hawaii, the Big Island (and reverse) from January-April and November-December. Weeklong cruises explore four islands—Hawaii, Maui, Lana'i and Moloka'i. Guests enjoy a full complement of water sports activities—kayaking, snorkeling, paddle boarding and skiff excursions. Highlights include night snorkeling with Giant Pacific Manta rays, exclusive cultural tours on Moloka'i and snorkeling in Kealakekua Bay near Captain Cook's monument. 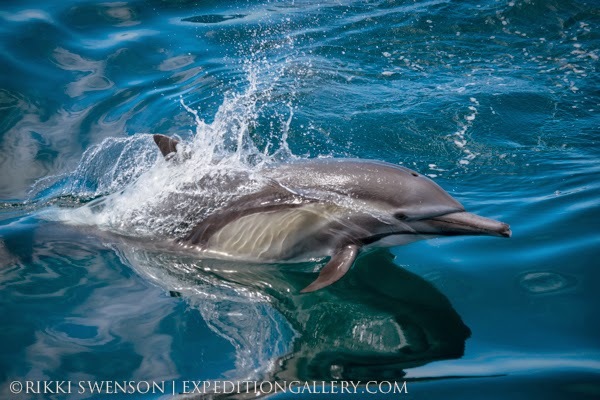 A flexible schedule allows time for encounters with dolphins, whales and green sea turtles. The inclusive Hawaiian Islands cruise offers the convenience and ease of exploring four islands and surrounding waters by yacht with all amenities included--adventure activities, guided shore tours, innovative meals and all beverages; a massage, yoga on deck, exercise equipment and sauna for wellness. Rates begin at US$3,595 per person, double occupancy. 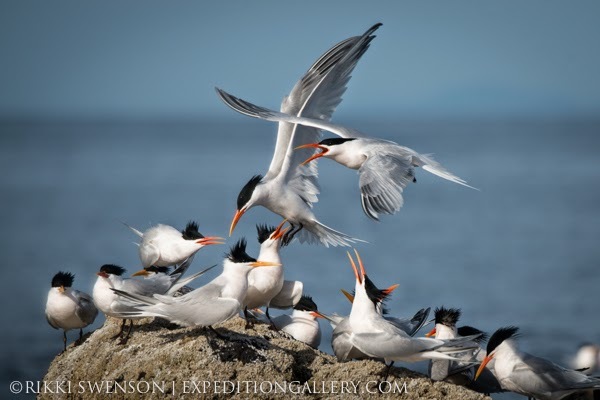 The 60-guest Wilderness Adventurer expedition vessel sails a weeklong itinerary in spring and fall exploring shorelines and islands in Washington State—South Hood Canal, Port Townsend, Deception Pass, Lopez Island, Orcas Island, Friday Harbor and Sucia Island. 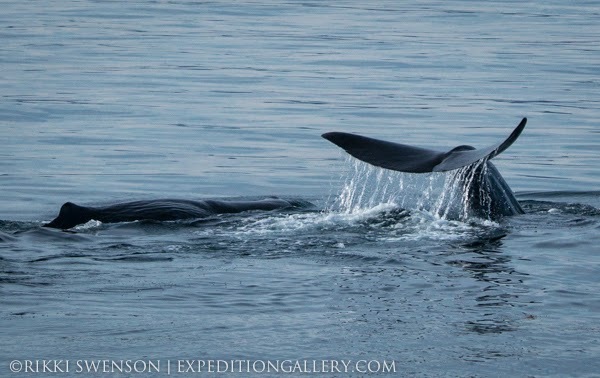 The 22-guest Safari Quest yacht explores Washington's San Juan Islands and British Columbia's Harmony and Gulf Islands with extended time in Princess Louisa Inlet in spring and fall. Highlights include a visit to Victoria; High Tea and tour at Butchart Gardens; visit to Friday Harbor, WA; and Chatterbox Falls in Princess Louisa Inlet. Both Pacific Northwest cruises depart roundtrip Seattle. Rates begin at US$1,695 aboard the Wilderness Adventurer and US$3,695 on the Safari Quest, per person, double occupancy. On cruises aboard the yachts and expedition vessels, guests can be as active as they like and activities include hiking, kayaking, paddle boarding, snorkeling and skiff excursions. 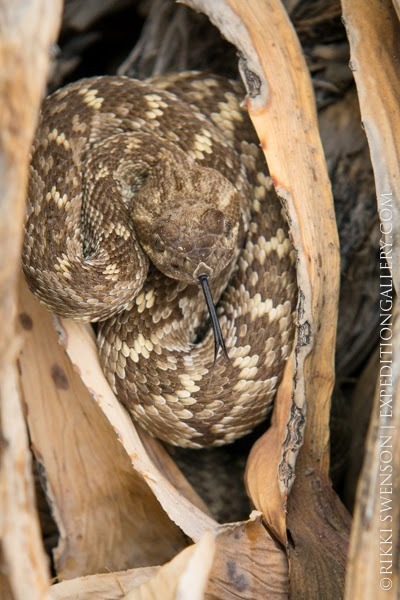 Expert naturalists provide interpretation on guided excursions ashore and at sea. Aboard the S.S. Legacy river cruise, a Heritage team provides entertaining and informative interpretation along the route and shore excursions are included in each port. Fresh, innovative cuisine is served on all vessels. 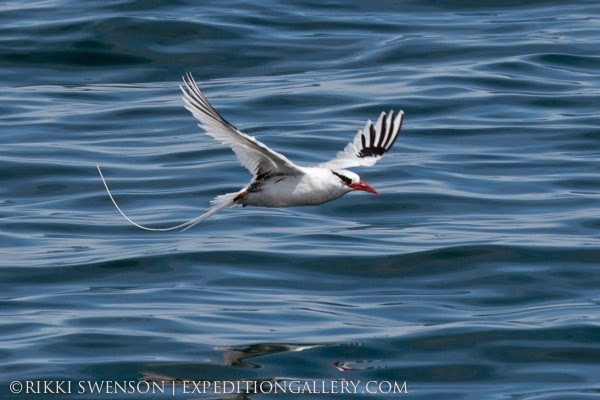 Select theme cruise dates are available for photography and marine biology interests. Kids in Nature departures cater to families with children younger than 13 years. Charters and group incentives are available. To book or to request additional information, contact your travel agent or Un-Cruise Adventures at 888-862-8881 or sales@un-cruise.com. 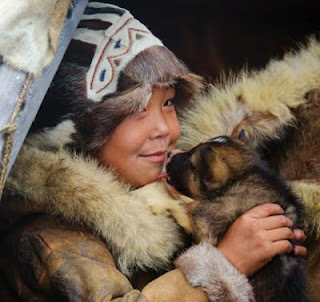 Approximately 14,000 years ago the first people walked from Chukotka (in Eastern Russia), across the Beringia Land Bridge to discover North America and beyond. 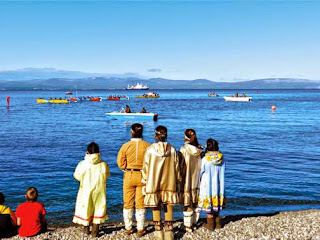 In July of 2014 people from the seven Arctic nations will return to Chukotka for the first ever Beringian Arctic Games, coming together to celebrate and compete traditional games such as skin boat races and other competitions in the picturesque village of Novoye Chaplino in the Far East of Russia. When people made their way across the vast plain of Beringia from the Asian to the American continent, they moved on foot. 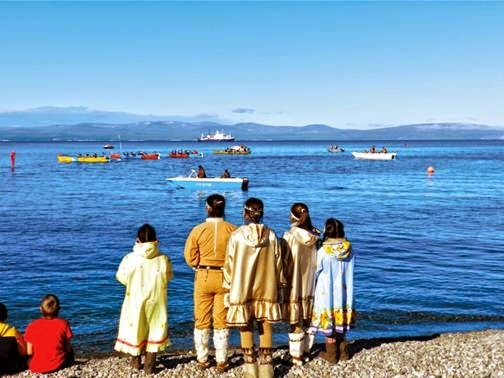 Then as glacier ice turned to sea and the Bering Strait came into being, people on both sides continued to connect, sailing the waters in large skin boats. Life in these Arctic regions would have been unthinkable and unstainable without these Arctic ships. The inaugural Beringian Arctic Games will bring together peoples from all around the circumpolar Arctic. It will be a powerful celebration of this environment and a feature event of these games will be the skin boat races in which the various countries will compete. Your participation will help.... Expedition Travel company Heritage Expeditions is sponsoring transport for 25 students from the 7 Arctic Nations to travel to these Games. Your participation on this expedition will help the students realise their dreams. Travel with them on our ship the Spirit of Enderby, share their journey, support them at the Games and learn from them - a truly unique opportunity that is not to be missed. 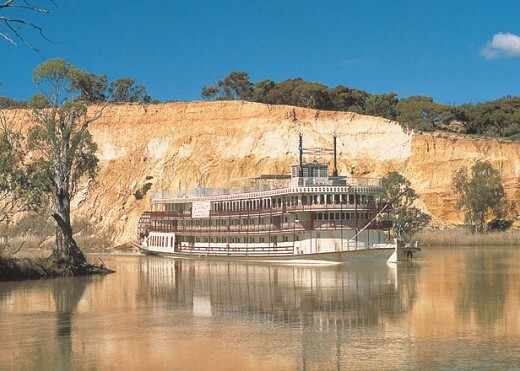 Captain Cook Cruises is offering 25% off Murray River cruises, with their Winter Sun sale from June to August 2014. Passengers can discover the winter enchantment and beauty of the Murray River and the taste sensations of the Murray's food and wine trail with prices starting from as little $674 per person. The cruise experience starts with the ship itself. The PS Murray Princess is a modern replica of the paddle wheelers that cruised the Murray in the 1800's. The PS Murray Princess has two spacious, yet cosy paddlewheel lounges featuring polished wood and gold trimmings, an elegant spiral staircase and spectacular two-story glass windows of the working paddle wheel. Sit back in the warm paddlewheel lounges and enjoy the amazing views as the Murray Princess cruises past towering limestone cliffs, through picturesque gorges and along riverbanks lined with mallee scrub and red gum forests. Winter birdlife on the Murray River includes an abundance of Australian favourites including Swans, Swamp Hens and Wood Ducks and their young. Plant life is also thriving with Lignum bushes flowering and rushes and reeds getting a vibrant green colour to them. Led by on-shore guides passengers can enjoy nature walks, eco-tours and learn about the thriving ecology of the river. Each day features an exciting day trip to historic ports, sacred Aboriginal sites, a sheep station and woolshed and a native wildlife shelter. Follow the food and wine trial for tastings at a number of vineyards and cellar doors, and in the evening, an Aussie-style campfire barbecue on the riverbank one night. The Winter Sun sale is valid for travel 02 June to 29 August 2014 and on sale until 29 August 2014. The three nights Discovery Cruise departs Mannum every Friday at 4.30pm and Winter Sun prices start from $674 per person twin share, normally $899 per person. The four nights Outback Heritage Cruise departs Mannum every Monday at 4.30pm and Winter Sun prices start from $922 per person twin share, normally $1229 per person. The seven nights Murraylands and Wildlife Cruise departs Mannum every Friday and Monday at 4.30pm and Winter Sun prices start from $1387 per person twin share, normally $1849 per person. As an extra bonus Captain Cook Cruises will celebrate Christmas in July on the three night Murray River cruise departing 11 July,2014. A range of Christmas festivities will take place including a traditional Christmas dinner and passenger Christmas Carol sing along.